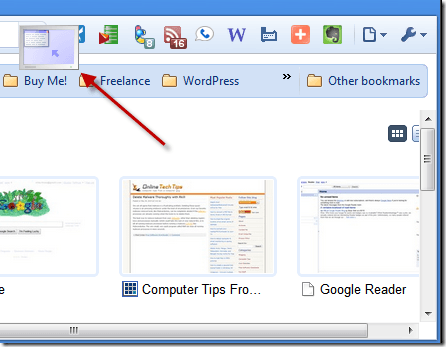 One of the most highly regarded features of Windows 7 is the Snap feature. If you’re working with two windows of information, all you need to do is drag each window to the side of your desktop, and Aero Snap will automatically resize the window to occupy half of the screen. If you work with multiple documents or applications often, like web developers and technical writers often do, Snap saves you a lot of hassle and time by resizing the windows for you. If you like Snap, you will love AquaSnap, which expands on the basic Windows 7 features. Not only can you drag windows to each side of your desktop, but you can drag windows to the corners and top or bottom of the window. When you drag four windows to the corners of the screen, it automatically resizes each to take up one quarter of the screen. You will notice that when you are dragging a window to the screen corners, a small image appears showing you how your resized window will be oriented on the screen. 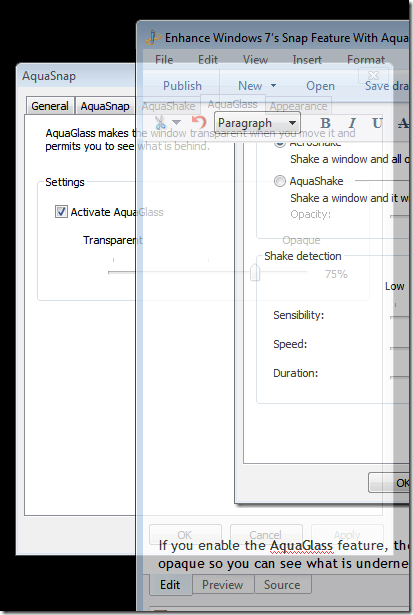 AquaSnap also lets you control window behavior by shaking a window. 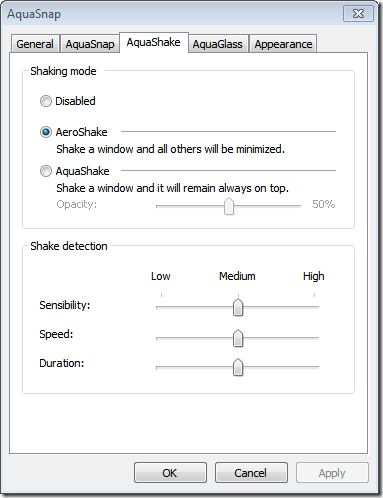 If you enable the AeroShake window, any window you shake will result in all other windows being minimized. 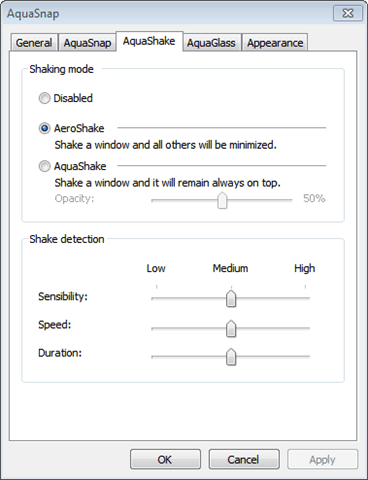 If you enable the AquaShake feature, shaking a window will make that window stay on top of the other windows. 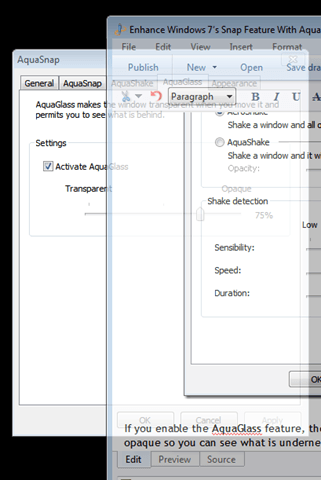 If you enable the AquaGlass feature, the window you are moving will become opaque so you can see what is underneath it. 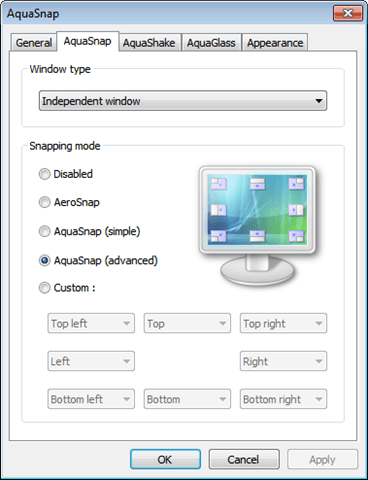 AquaSnap takes a great Windows 7 feature and makes it even more useful. 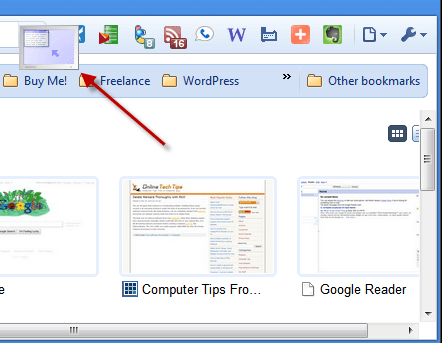 It is a small free application that’s compatible with the 64 bit version of Windows 7 and also works on Windows XP.